No matter if you’re the Star or your child is your Basketball Star, I have a written six articles about foot and ankle injuries to help you understand what to do if your Basketball Star gets injured. One of the most common structures injured in the foot, the plantar fascia is a ligament that passes on the bottom of the foot from the heel bone forward to the base of the toes. In sports that involve sustained running like soccer or cross country, injury to this tissue is more subtle and involves inflammation and microscopic tearing the tissue (plantar fasciitis). 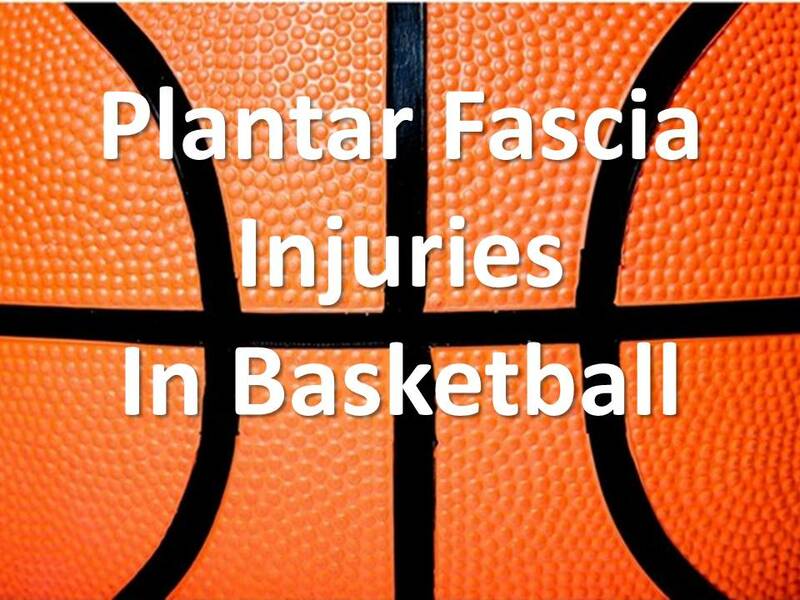 In basketball, while plantar fasciitis does occur frequently, the injury to this tissue is at times more specific and involves more forceful tearing or even rupturing of the tissue. Plantar fascia ruptures are seen when there is a strong push off force during explosive running or cutting. The pain of either a plantar fascia rupture or simply plantar fasciitis is usually felt on the inner side of the bottom of the heel where it meets the arch, although some ruptures can be felt more closely to the middle of the arch. While ruptures can eventually heal, if untreated they can eventually lead to chronic plantar fasciitis which can persist for years. Plantar fascia rupture treatment involves a short period of rest and immobilization in a walking boot to allow the tissue to heal, followed by arch support or taping and gradual return to the court. Treatment of fasciitis is fairly simple and involves gentle stretching, inflammation reduction, and orthotics to provide greater foot support. Surgery is uncommon.